Is your iPhone not able to connect to a wireless network. I had the same problem a while ago with my perfectly new iPhone. My WiFi stopped working and it was not able to connect to any WiFi network around me. It made me wondered why my iPhone 5 won’t connect to wifi. If the same thing happened to you then don’t worry. I will give you an easy fix to solve iPhone 5 WiFi issues. Just follow the below given steps to fix your iPhone 5 wifi issues. The most common and universal solution to fix any iPhone, reboot it. The first thing that can help you is to reboot your iPhone. Just turn it off and wait for a few minutes. Turn it on again and check for the fix. If its working then fine and good, else move on to the next step. Most of the times an update or a new app can corrupt your wifi profile. 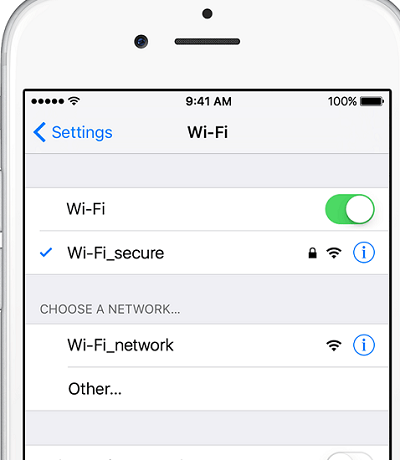 WiFi profile is the saved username and password of your wireless network. Hence, delete that profile and re-enter your password. You can delete it by going to your iPhone’s wifi settings. Go to the wifi settings and just forget the network. After deleting, add the connection again and enter your password. Check if it has fixed your iPhone 5 wifi issues. If not then move on to the next fix. Another fix to solve iPhone 5 wifi issues is to reset your network settings. To do so, go to Settings and then General, here tap on the reset option and select the Reset Network settings. This might be a bit of time consuming but it can surey help your iPhone wifi connectivity. After resetting reboot your device. Now check if your problem has been solved. Note: This will also delete your previously saved wifi profiles. Hence you must save all your passwords before resetting the network settings. Most of the time its an outdated OS that cause an issue. 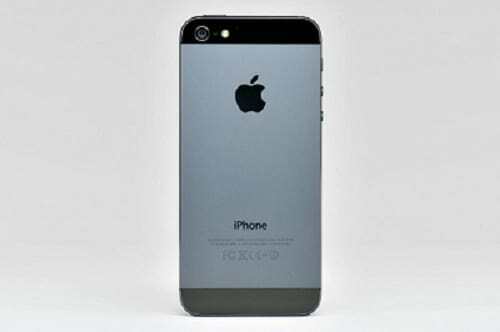 Just look for an update for your iPhone 5 and do it as soon as possible. A pending update might help you in fixing your iPhone 5 wifi issues. To do so, just connect your iPhone 5 to your computer using a USB cable. Now update the device using iTunes. Always ensure that you have created a backup of the existing state using iTunes. Your last and foremost hope is to create a full factory reset. If you are still reading this fix then your iPhone might be in a little-bit trouble. This means that all the previous other fix have not worked with your iPhone. 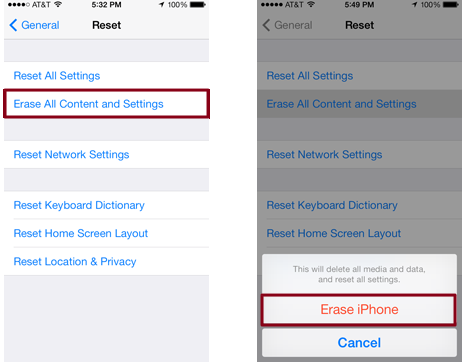 To do a full factory reset, go to Settings, general, reset and then select Erase all content and settings. This will delete all ypur saved settings and apps from the device so don’t forget to create a backup before going forward with this process. This can surely fix your iPhone 5 wifi issues including other problems. I hope that you must have covered all the steps and have fixed your iPhone’s wifi till now. If these steps have still not helped you to fix iPhone 5 wifi issues then you must contact to the Apple store.